In a first major step towards popularizing water sports in entire State, first, of its kind district level water sports Championship today commenced at Water Sports Centre Nehru Park. 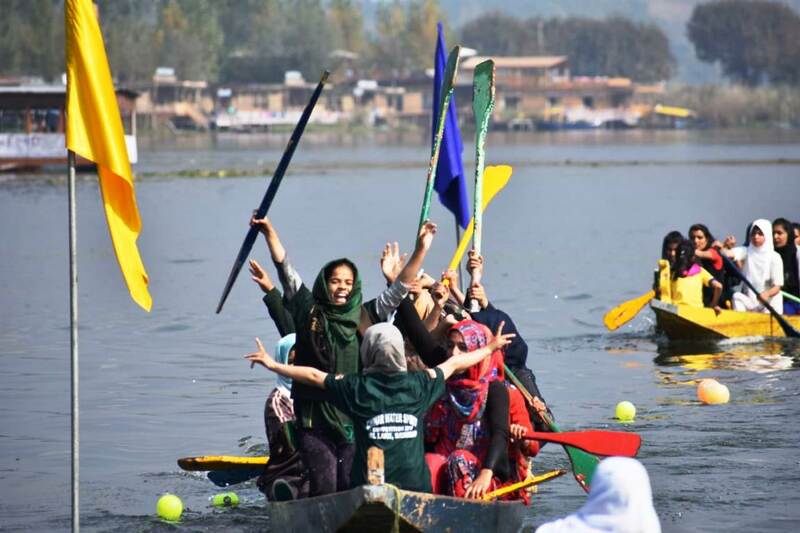 In the first of its kind initiative around 350 players from Islamabad, Pulwama, Bandipora, Ganderbal, Srinagar and some players from Jammu districts of the state are taking part, the statement said. The district-level championship commenced on 18th October and will continue till 20th October 2018, officials informed. Pertinently, girls are equally participating in this championship as the player participation ratio remains 50:50. It is expected that more participation will be seen during the two days of the championship. “The district-level championship has been held to nurture the talent at grass-roots and it is happening for the first time where youngsters from various districts are participating in the camp,” said Secretary Sports Council, Dr Naseem Javaid Choudhary. Dr Saleem Ur Rehman, D.G Youth Services and Sports graced the occasion as Guest of Honour and Shahid Mahmood, Deputy Director Employment was guest of honour on the occasion.